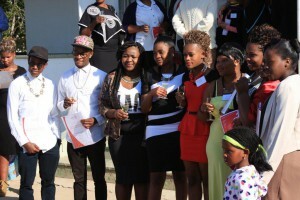 Youth Day celebrations came early for students at TSiBA Eden’s Graduation Ceremony on Friday, 13 June 2014. Many of these young adults were the first in their families to graduate with a post-matric qualification. This was made possible through the Tertiary School in Business Administration (TSiBA) awarding full tuition scholarships to study accredited, tertiary level courses focused on developing entrepreneurship and leadership. TSiBA students are not required to pay back their education monetarily, but to “Pay it Forward” by transferring knowledge, skills and resources back into their communities. 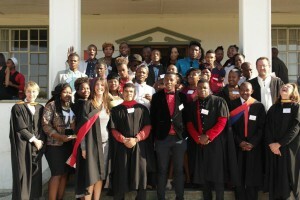 TSiBA is a non-profit business school founded in 2004 with two campuses in the Western Cape and accredited with the Department of Higher Education (No: 2007/HE08/001). TSiBA Eden is located in the heart of the rural village of Karatara, near Knysna and is unique in offering environmentally green, entrepreneurial bridging and skills development programmes serving rural communities in the Southern Cape and beyond. TSiBA educates students and teaches practical business skills and also provides full board and lodging for non-local students. Sandy Ueckermann, TSiBA Eden Director said, “The impact graduates of this unique rural business school will have on the growth of the South African economy is significant especially in the context of the drain on the country of having unemployed and unemployable youth on the street. Not only is there the lost opportunity cost of productivity, but the harsh social impact of unemployment such as increased rates of depression, illness, crime, drugs, domestic violence and reliance on social grants. This is why we are celebrating this very momentous occasion today. Thank you to all our supporters who share our vision to graduate entrepreneurial leaders to take South Africa into the future”. Applications for 2014 are now open until 01 December. For more information, please contact Genevieve on (044) 356 27 89 extension 19, or email [email protected].